Miami-Dade, Broward, and Palm Beach Counties are amongst only a very few areas in the continental United States located within a subtropic zone. Nowhere else in the United States will you see such an abundance of tropical life, weather, and colors! Featuring an awesome array of daytime activities, nightlife, cultural centers, hotels, restaurants, services, and places to live, Southeast Florida offers something for every one of virtually every lifestyle (you will not see much skiing here unless it is water skiing!). Contact us and lease or purchase your piece of paradise today! 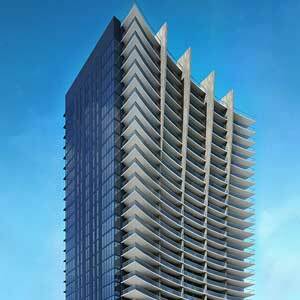 Downtown Miami has undergone tremendous growth over the past 20 years. 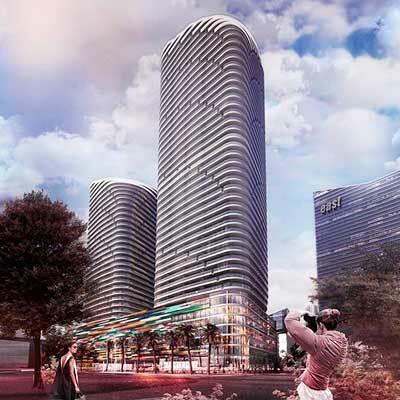 Featuring new cultural centers, museums, hotels, restaurants, an ever-expanding Metro Rail, and a plethora of new residential construction ranging from affordable housing to ultra luxury living, the City of Miami offers metropolitan living at its finest! Commerce within Miami-Dade County has exploded in recent years. With one of the busiest ports in the world, and the City of Miami becoming one the of top international destinations, Miami offers numerous business & investment opportunities for everyone from the new entrepreneur to the established global corporation! Contact us if you are interested in investing in any of the Miami-Dade, Broward, or Palm Beach counties! Many of us have a dream of living in a beautiful place with bright, vivid colors everywhere we look. Miami is one such place where such a dream, and others, can come true! 15 years ago I moved to Southeast Florida from New York, having fulfilled a dream of working for a major corporation and being able to work from home. Eventually, I fulfilled another dream; I quit my corporate job and started a boutique real estate brokerage where the individual sales associate can pursue their own niche within the vast real estate industry of Southeast Florida. It is a blessing for me to have been able to help a number of real estate sales associates achieve their own dreams in becoming successful agents, and even brokers, of their own! I truly believe Miami Real Estate offers a tremendous value, especially when compared to the real estate markets of New York, Boston, Los Angeles, San Francisco and others, while offering superb weather, fabulous beaches, second-to-none nightlife, and a growing multicultural epicenter both within the City of Miami and the surrounding villages, towns & cities. I thank you for visiting my company’s website! My multilingual sales staff (English, French, Hebrew, Spanish, Russian, Czek, German, Mandarin) and I stand ready to advise & assist you with your real estate investment needs. The beauty of water front locations and beautiful warm weather are the driving forces attracting so many buyers to Southeast Florida. It cannot be denied that living in a tropical paradise surrounded by shimmering blue waters, lush green foliage, and clean golden sand beaches is the dream of many people in this world. Southeast Florida, and Miami & the Miami Beaches specifically, have become a top 5 international destination in the world. The massive demand for property in this region is undeniable, and it is what continues to drive real estate prices higher and higher. This is a trend no one expects to change any time soon. Building equity in a home is the path to one of the greatest of the American Dreams; owning your own home outright. The expansion of industry in the Southeast Florida area has been driving job growth and allowing more people to move here and purchase homes. This is a trend that continues to be fueled by port expansions & dredging, massive construction of not just condos, but gentrification of older neighborhoods, office buildings, hospital expansions and more. 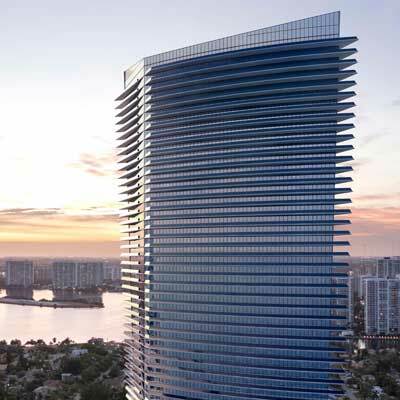 New cultural centers, such as museums, stadiums and concert halls have sprung up everywhere creating additional draw and demand for real estate in Southeast Florida. All of this is a self-fueling ecosystem of economic growth creating more & more homeowners every day! 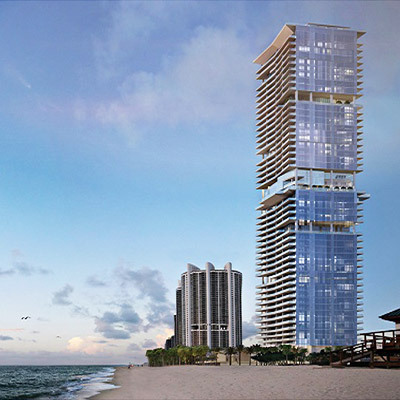 Developers have launched incredible Miami condos for sale that offer residents an extraordinary lifestyle. Many properties feature distinctive architecture and beautifully finished homes with plenty of best-in-class features, allowing you to live richly and in a pampered & relaxed lifestyle. With the aim of providing the best possible lifestyle to residents, Developers have lavished their new structures with state-of-the-art amenities and building features such as over sized glass balconies with hurricane resistant glass, beautiful swimming pools, valet parking, tennis and badminton courts, playgrounds, library, club house, sun deck, modern gym, business center, 24 hours security, grand lobby, cable TV, 24 hours security, Wi-Fi and more! The biggest tax benefits of owning a home in Miami, Florida is that buyer can get a homestead exemption. Specifically, Florida residents can get a property tax exemption up to $50,000 for their primary residence. Additional benefits are available through Florida’s Homestead Law should your spouse die, you are an Active Duty Veteran, Elderly, First Responders or Disabled. In addition, once you have owned your home for at least 1,215 days (approximately 4 years), you may exempt an unlimited value in your home should you ever need to declare bankruptcy. Lastly, Florida does NOT have a State Income Tax. Depending on where you are moving from, this could be a savings of as much as 10-15% when taking into account both City & State income taxes in other comparable metropolitan areas. Ranging from Affordable Living to Ultra-Luxury, there is something in Southeast Florida for all budgets, tastes, and preferences. Compared to comparable metropolitan cities such as New York, Los Angeles, Chicago and Boston, Miami is amazingly affordable and there is currently no State Income Tax. Metro International Investments is a Florida registered Real Estate Brokerage primarily operating in Miami-Dade, Broward, and Palm Beach Counties in the State of Florida. From Residential & Commercial Sales, Rentals & Leases, to Joint Ventures and Distressed Asset Acquisitions & Off Market Commercial Real Estate Opportunities; Metro International Investments provides an array of services and investment opportunities to the general public. Metro International Investments has two qualifying real estate brokers; Mark J. Moldoff, a 47 year veteran of the commercial real estate development & brokerage industries, and Christopher J. Lazaro, an experienced residential & commercial broker with vast information science skills specializing in research and data analysis of the real estate markets in Southeast Florida. Backed by a strong team of multilingual sales associates and a global network of reputable, cooperating brokers, Metro International Investments is a full-service real estate investment brokerage capable of handling all of your buying, selling & leasing needs. Thank you for visiting our website! If you have any questions or would like to schedule an appointment with a sales associate, please call us at 1-800-798-9192 (Intl: 1-305-517-3086). We look forward to servicing your real estate investment needs!